Home » Lifestyle News » Can marine bacteria produce greenhouse gas? Scientists have discovered that a 'rare' type of marine bacteria, which possess a remarkable metabolism">metabolism, can contribute to greenhouse gas production. Researchers from the University of Southampton, the Max Planck Institute for Marine Microbiology in Germany and other European universities showed that Nitrococcus bacterium, which is found in oceans worldwide, has the astonishing ability to live without oxygen by reversing its metabolism">metabolism. The usual biological 'function' of Nitrococcus - and a handful of other similar bacteria - is to replenish nitrate (NO3-) in the ocean through the oxidation of nitrite (NO2-) - while at the same time converting carbon dioxide (CO2) into building blocks for their cellular structures. Through a series of experiments, carried out in the South Atlantic off the Namibian coast, the team found that Nitrococcus can, in the absence of oxygen, 'switch' its metabolism">metabolism so that it reduces nitrate to nitrite and further to nitrous oxide (N2O), while producing, instead of capturing, CO2. Lead author Dr Jessika Fuessel from the University of Southampton said that these particular bacteria have not been studied in-depth before, and the team is surprised to find that not only that Nitrococcus bacterium is widespread and abundant, but also that they possess such astonishing metabolic versatility. 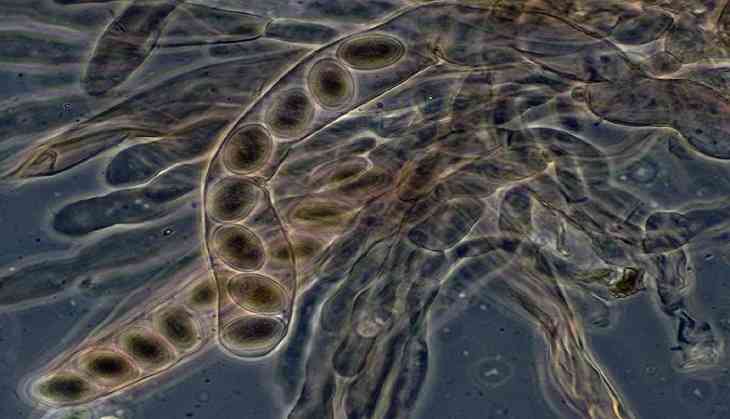 "As global oceans continue to warm and lose oxygen, the widespread nature of Nitrococcus could be on the verge of reversing their key nitrogen-preserving role, adding to the effects of global warming," Fuessel added. Nitrogen is essential for all life on Earth as it is needed for the making of proteins and nucleic acids, and its most abundant and stable form is nitrate. While the sunlit surface ocean often runs out of nitrate, it accumulates to high concentrations in the deep dark ocean thanks to the activity of nitrite-oxidising bacteria like Nitrococcus. The authors claimed that this is for the first time that a marine nitrite-oxidising bacterium can contribute to the production of this highly potent greenhouse gas and stratospheric ozone-depleting agent. Nitrococcus's ability to convert hydrogen sulphide (H2S) to harmless sulphur may then contribute to 'sulphide detoxification' and protect other life forms. The research appears in the journal of Science Advances.